MCC nursing programs are designed to build on each other and may be transferred to bachelor of science and graduate-level programs. Supporting courses can accommodate full or part-time schedules, and we offer classes days, evenings, weekends and online. Find out how to get started! Attend a nursing information session. Meet the site visit team and share your comments about our Nursing program. Just starting your education? Complete your Basic Nursing Assistant Training Certificate and you'll be eligible to take the written State Nurse Aide Competency Exam. Pass the Nurse Aide Competency Exam and your name will be added to the Healthcare Worker Registry so you can be employed as a Certified Nursing Assistant (CNA). Ready to take your nursing career to the next level? Our LPN to RN Bridge course provides an efficient pathway for practicing LPNs to pursue their RN degree at MCC. After completing the bridge course at MCC, you could earn your AAS within three semesters! Want to prepare for your career as a Registered Nurse (RN) without incurring unnecessary debt? Graduate from MCC's AAS in Nursing program and take your National Council of State Boards of Nursing Examination (NCLEX-RN®), the final step to licensure as an RN. MCC is ranked #7 Nursing program in Illinois ! 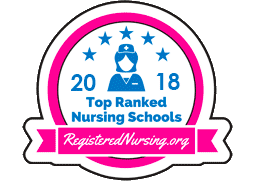 Registered Nursing has ranked the top 30 schools of 75 state approved and accredited program offerings in IL based on first-time test taker pass rates of the NCLEX-RN exam. Contact Department Chair: (815) 455-8710.